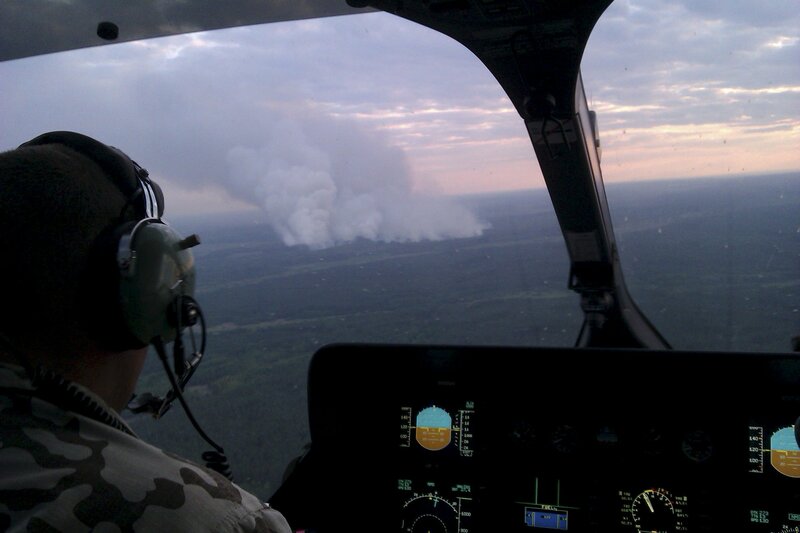 Wildfires in the vicinity of the Chernobyl nuclear power plant have led to higher levels of the radioactive isotope caesium-137 in one of the fire sites, according to measurements taken by Ukraine's nuclear inspectorate. The level of radiation in the air in the territory of the Chernobyl exclusion zone has exceeded its control limit as a result of the wildfires which continue to burn there, Ukraine's State Nuclear Regulatory Inspectorate announced on Wednesday. 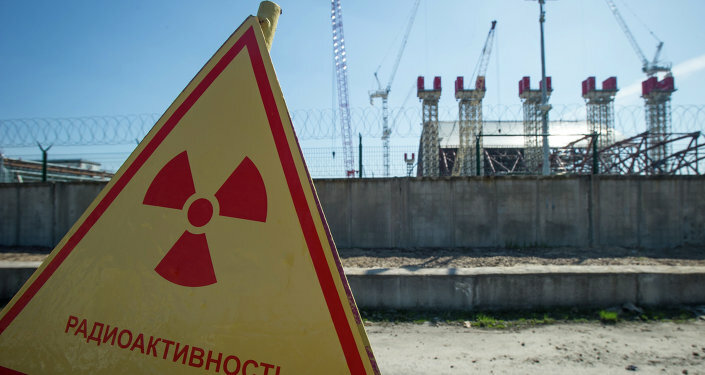 An air sample taken on June 30 in the fire area near the abandoned settlement of Poleskoye/ Polis’ke contained a level of the radioactive isotope caesium-137 "one order of magnitude higher than the reference level established in the health and safety standard," stated the inspectorate. During the course of the radiological survey, which is undertaken regularly at 39 control points in the exclusion zone, staff at the Chernobyl Specialized Enterprise found "no significant increase in the gamma exposure dose rate or beta-particle flux density," at six control points, including at Poleskoye. 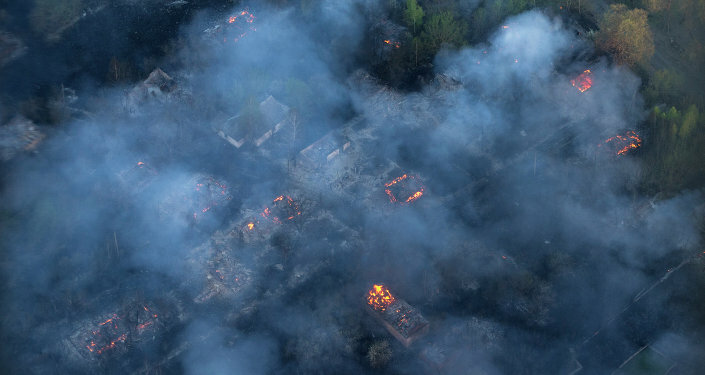 On Monday, Ukrainian emergency services announced that 27 fire engines and 192 firefighters were fighting a blaze close to the Chernobyl nuclear power plant, after dry grass caught fire and led to a forest fire covering an area of around 130 hectares. According to a statement from the emergency services, the closest of the six fires was burning tens of kilometers away from the power plant, and did not pose an immediate risk to the plant. On Tuesday the authorities updated that firefighters had been able to contain four of the six sources of the wildfire, and reduce the area of the fire to 110 hectares. Valentin Protsak, head of the Ukrainian Institute of Agricultural Radiology told the media on Tuesday that there is no danger of radiation beyond the Chernobyl exclusion zone, and that according to research carried out by the Institute, levels of radiation in the areas worst affected by fire will not travel more than 200 meters, nor rise by more than five percent. Explosions at the fourth reactor of the Chernobyl nuclear power plant on April 26, 1986 released considerable amounts of radioactive material into the environment, mainly the radioisotopes iodine-131, caesium-134 and caesium-137. Iodine-131 has a short radioactive half-life of eight days, though it can be transferred to humans relatively rapidly. Caesium-134 has a half-life of 2 years, while that of caesium-137 is 30 years. In response to the accident, in 1986 around 115,000 people were evacuated from areas surrounding the reactor, which was destroyed during the catastrophe, and after 1986 another 220,000 people were subsequently evacuated from adjacent parts of Ukraine, Belarus and Russia.